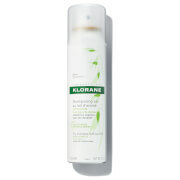 Reap the benefits of natural lightening and brightening Chamomile with the Sunshine Blond Routine from Klorane. Perfect for blonde to light brown hair, the set hosts a trio of products that will reveal and enhance natural blonde highlights. 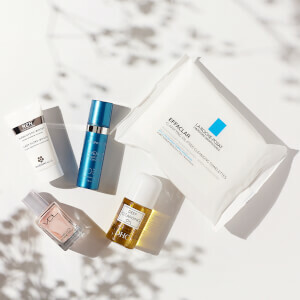 With a shampoo, conditioner and a dry shampoo, the set contains an entire cleansing routine that will leave hair clean, silky soft and visibly radiant. Achieve lighter and brighter hair whilst you cleanse with the Golden Highlights Shampoo. 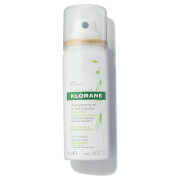 Enriched with Chamomile, the formula boasts an ultra-gentle emulsifying base that possesses hair lightening abilities. Apigenin, found within Camomile attaches to each fiber, coating the hair without penetrating and delivering golden highlights. Hair is visibly enhanced, radiance is restored and locks are shiny and lighter. Intensify colour whilst you nourish your hair with the Brightening Cream Conditioner. Perfect for dry or damaged blonde hair, the formula is enriched with Chamomile, which works to repair, detangle and nourish. Boasting a high concentration of conditioning agents, the creamy conditioner leaves hair super soft, with an enviable bounce. With continued use, hair appears visibly repaired, silky and supple, whilst highlights are intensified. Shampoo: Leave on for a few minutes. Rinse thoroughly. May be used as often as necessary. 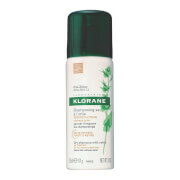 Conditioner: Apply to rinsed, damp hair after washing with KLORANE shampoo with camomile. Leave for 2 to 3 minutes. Rinse thoroughly. In case of contact with the eyes, rinse thoroughly with clean water. Shampoo: 100ml / Condtitioner: 50ml / Dry Shampoo: 30ml.